As a healthcare provider, there are a multitude of regulatory requirements you are expected to meet. Patient information security, operational practices, service delivery procedures, and electronic health record management are just some of the measures needed to deliver an effective and efficient offering. 4C360 is an easy-to-use, comprehensive platform that allows you to track, report on and audit procedures, practises and services. Our solution allows you to collect data, which is harnessed, sliced and diced to give you total and real-time visibility on your operations and assets. You can then improve performance and evaluate progress of every facet of your healthcare system. 4C conducts, supports, and disseminates research to improve outcomes, quality, and safety. Giving you the ability to meet regulatory requirements by streamlining the various components of your compliance programs. The platform has also been proven to reduce costs, broaden access to services, and enhance the way healthcare is organized and delivered. 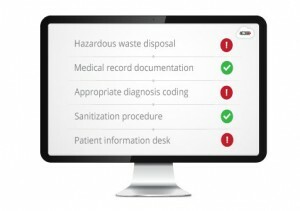 This helps improve patient safety by supporting quality programs through document control, compliance training, ongoing auditing, reporting issues and non-conformance incidents and the resulting corrective actions. Capture data as scientific evidence. Identifying the risk of non-compliance. Promote a workforce culture of transparency and high performance. Connect to your patients for feedback. Conduct quality certification and validations. professionally dedicated team, a valuable asset & ease to work with them.